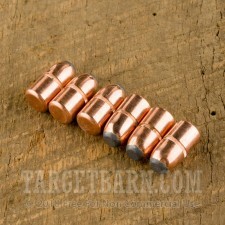 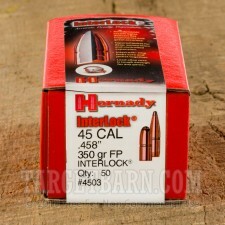 These Hornady bullets provide excellent performance for large bore cartridges used for hunting. 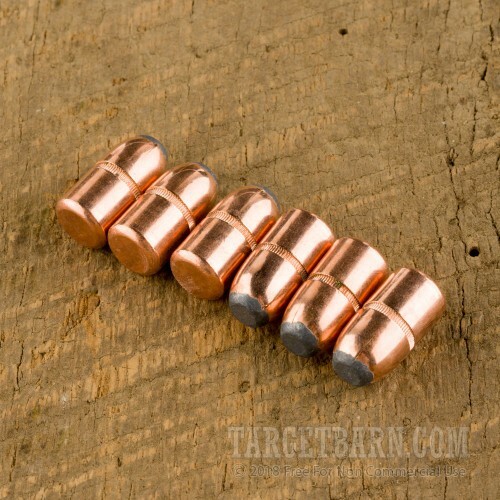 These 350 grain soft tip Interlock projectiles come in a boxes of 50 and feature a grooved, tapered jacket designed to expand in a carefully predetermined manner for optimal expansion and penetration against deer and other mid to large size game. Interlock bullets are named for the locking ring on the lower side of the bullet which binds the core and jacket together and works with the cannelure to provide maximum weight retention.